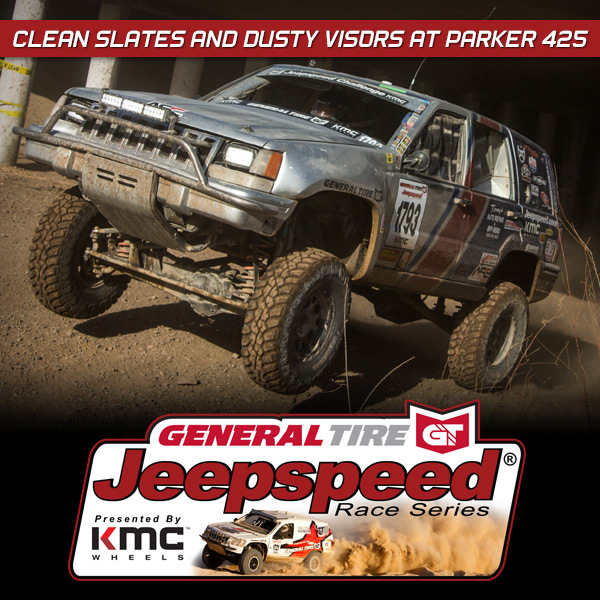 425 was brought to us by Jasper Racing Engines. 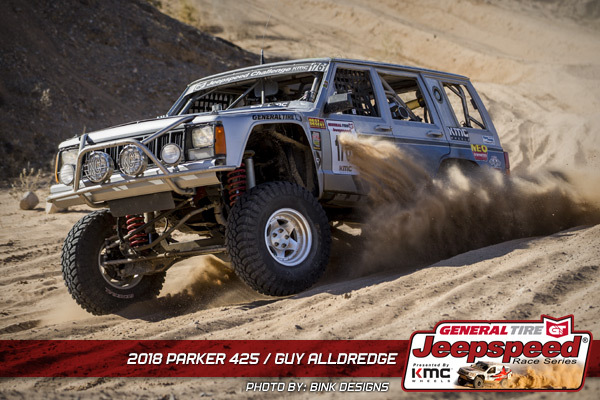 The Mint 400 will be brought to you by Rugged Radios. The Silver State 300 is brought to you by GG Lighting. 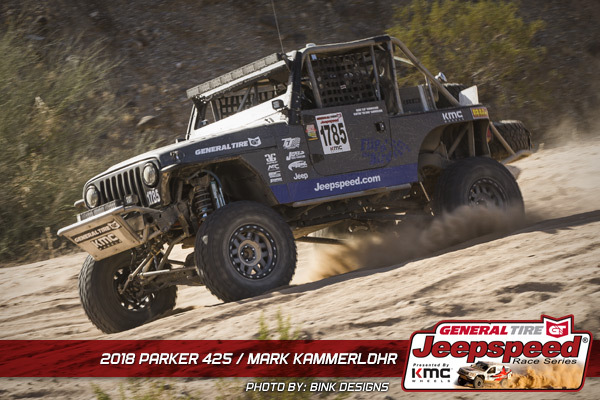 Vegas to Reno will be brought to you by Rock Krawler Suspension. 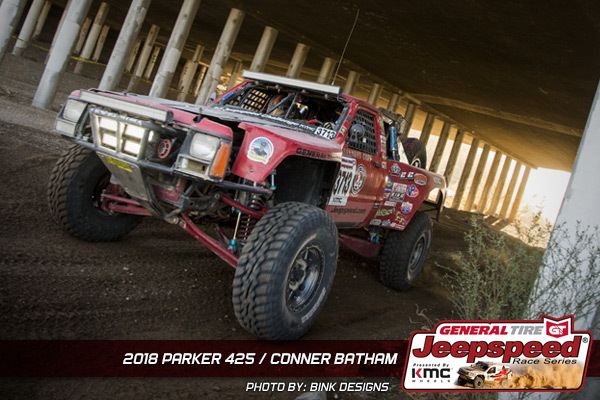 The Laughlin Desert Challenge will be brought to you by Tuff Stuff 4X4. In addition, Southwest Boulder & Stone will be giving $500 bonuses to winners at every race. 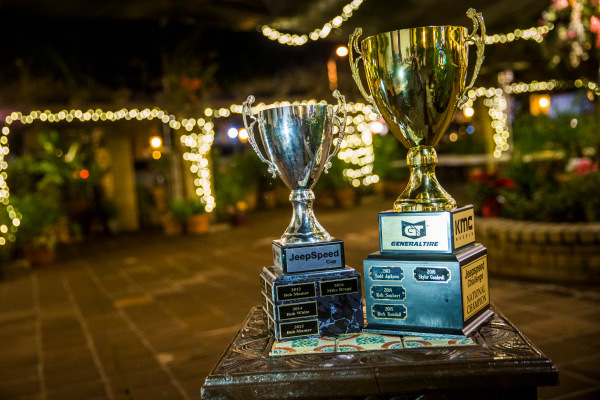 Tuff Stuff 4X4 will be giving offroad accessory products to the winners of each class at each race. 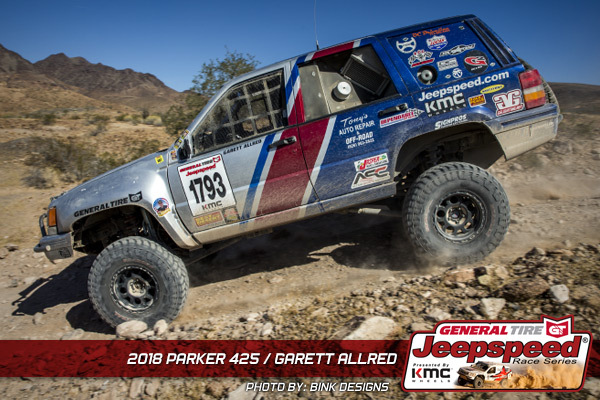 NEO Synthetic Oil will supply a case of oil for a win with their decal in place, and Action Sports Canopies will be giving away a set of team flags for the winners of all 3 classes at V2R, and also a complete canopy for the overall Jeepspeed champion at the end of the season. 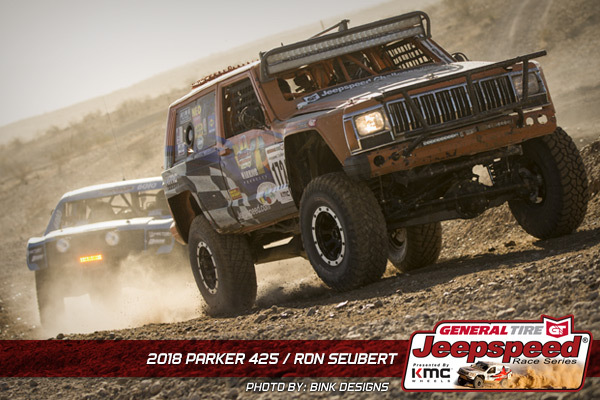 The support for the Jeepspeed series by sponsors General Tire, KMC Wheels, Currie Enterprises, Action Sports Canopies, Southwest Boulder & Stone, GG Lighting, Jasper Racing Engines, NEO Synthetic Oil, Rugged Radios, Tuff Stuff 4X4, Rock Krawler Suspension, King Shocks, and T&J Performance is responsible for many of the team’s achievements. 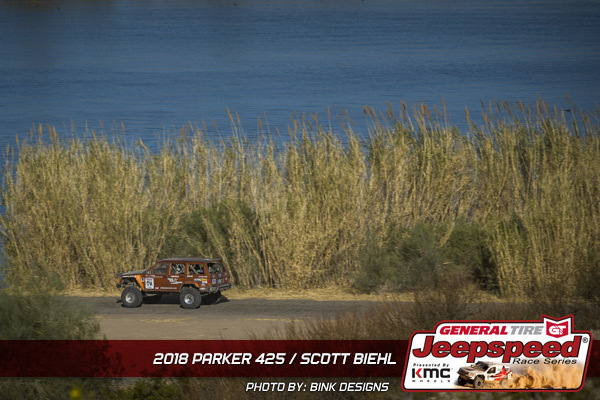 Now that Parker is in the books, everyone in the General Tire Jeepspeed series is going full speed to prepare for The Mint 400 March 3-11 in Las Vegas, Nevada.